Today’s post is a major update to a previously published post. The figures have been updated for 2018, and the spreadsheet has been improved and updated with all new indexing factors. In fact, I updated all of the spreadsheet calculators I’ve made for the site. The color scheme is consistent and the spreadsheets should be easier to read and use. E-mail subscribers got a link to download these in their inbox. Subscribe and you’ll get the same! Social Security is something we aspiring retirees don’t spend much time talking about. While we may notice how much we’ve kicked in ($7,960.80 from me and $7,960.80 from my employer in 2018), but those of us planning to retire early tend to largely ignore it when calculating safe withdrawal rates and our annual cashflow. If we mention it all, it’s usually with an asterisk because it’s so far off and somewhat uncertain. In all likelihood, some money will be there. The calculations may be different than they are today, but that’s true anytime we make projections based on current tax code, and that’s something we do a lot. Based on the 2017 annual report from the Social Security Board of Trustees, the program is fully funded through 2034, and three quarters funded for the long term with many options to address the long term shortfall. Politics will play a role in deciding if that means decreased benefits, an older age at which they’re available, or an increase in the amount of salary subject to Social Security tax. While we don’t know which way it will go, and it’s quite alright to plan as if it doesn’t exist (better safe than sorry), the reality is that Social Security will quite likely be a benefit to many of us in the latter portion of our early retirement (otherwise known as ordinary retirement). There are some early retirees who should not plan on Social Security income. If you earned your money outside the U.S. and did not pay into the system, you’re out. If you failed to earn income for 10 years (40 three-month quarters of at least an inflation-adjusted $1,320 income (in 2018 dollars)), you’re not eligible. However, non-qualifying spouses married to someone who qualifies for Social Security can receive half their spouse’s benefit if taken at full retirement age (FRA). Some government employees participate in an alternative pension system, but do not contribute to Social Security. Without those 40 quarters of contributions, there will be no Social Security benefit. If you are considering an early retirement, I would strongly encourage you to aim for at least ten years of contributions to the Social Security system. Note that these don’t all necessarily have to be completed prior to pulling the FIRE trigger. If not, you must plan on having at least some reportable income whether from a hobby job or self-employment of some kind until you’ve hit your forty eligible quarters. Know the Social Security Bend Points! What are these bend points? They’re the two points at which you receive diminishing returns in your monthly benefit once you’ve earned a certain amount of money. The money you’ve contributed over the years is used to calculate your Average Indexed Monthly Earnings (AIME). It’s an inflation-adjusted average of your monthly earnings over your most lucrative 35 years. If you work and contribute for fewer than 35 years, zeroes fill in the blanks. I’ll have a calculator for your AIME below, but essentially it’s your total inflation-adjusted earnings divided by 420. What’s the significance of 420? In this case, it’s simply the number of months in 35 years. AIME is important in determining your monthly benefit when taking Social Security at full retirement age. For visual learners, let’s use my middle finger as an example. Might as well throw in a couple joints to accompany all this 420 talk. The initial rate of rise is quite steep until you reach the first bend point (represented by my proximal interphalangeal joint). The slope is less steep between the first and second bend point (my distal interphalangeal joint), and it doesn’t rise all that much beyond the second bend point. Clearly, building up your AIME to the first bend point at $895 is worthwhile. For every dollar up to $895, you’ll get 90 cents per month when you take Social Security at full retirement age (67 for those of us born after 1959). If you’re earning enough ($128,400 or more in 2018) to contribute the max to Social Security, you’ll hit the first bend point in a few short years. Earning beyond the first bend point doesn’t do nearly as much for you, but you still get 32 cents for every dollar of AIME between the first bend point and the second at $5,397. Additional years of income between the bend points will make a noticeable difference in your eventual monthly benefit. 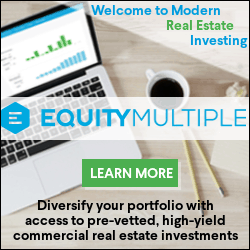 Once your Average Indexed Monthly Earnings reach the second bend point at $5,397, you’ll only receive 15 cents per dollar of AIME beyond that. Additional earnings give you vastly diminished returns at this level of AIME. The bend points will increase annually with inflation, as will your AIME as older earnings will be worth more as time goes on. Once you’ve surpassed a bend point, you shouldn’t lose it, because your AIME will increase each year as the bend points grow larger. Every time I create a new calculator, I learn some new spreadsheet tricks. This was perhaps the most labor-intensive one I’ve made thus far, but I think you’ll love it. I’ve entered my information in the white boxes, copied and pasted directly from the ssa.gov website. You can sign in or create an account here to access a lifetime record of your earnings. You can also find out what your anticipated monthly benefit (known as Primary Insurance Amount or PIA) will be if you continue to work at your current pace until age 67. I’m assuming you probably won’t do that. I’ve created a calculator that will tell you whether or not you’ve reached the first and second bend point and will estimate your monthly benefit if you were to stop contributing now. To extrapolate further, each additional year working and contributing the max will add about $306 ($128,400 / 420) to your AIME. This calculator is accurate for those of us born after 1960. The benefits will be slightly higher for our friends born before JFK became president — see this table for adjustments here. These are my numbers. I had some grocery store and self-employment income before I started making big money as a resident in 2002. From 2006 to 2018, I’ve earned and contributed the max for twelve years of maximum earnings. Just 22 more quick years, and I can collect the biggest check possible! As you can see, with an AIME of over $4,300, I’ve easily surpassed the first bend point, but I’m just over $1,000 from the second bend point that currently exists at $5,397. It will take four more years of a maximum Social Security Contribution to surpass the second bend point. I anticipate a maximum contribution from employment as a physician in 2019, but I do not expect to be employed beyond then. If I continue to earn enough income as a blogger to reach that next bend point, that would be ideal, but at 32 cents on the dollar, I’m not all that concerned with growing my AIME. I’ll be even less enthused after that second bend point milestone is reached and an additional dollar of AIME is worth 15 cents in my future monthly checks. Note that the primary purpose of this calculator is to show you if you’ve reached the bend points and how close you are if you haven’t. The estimate of the future benefit assumes that the program remains unchanged between now and the time you start collecting. For early retirees, that’s probably far off and the likelihood is that there will be changes in the interim, but it doesn’t hurt to see what would happen if the program were to remain more or less the same. I’ve created a page for you to enter your own numbers here on the 2018 Social Security Calculator, although it may be easier to simply download the calculator. If you’re not a subscriber, sign up and you’ll receive a link to download. You can opt out any time. Taking Social Security as soon as it’s available at age 62 results in a 30% penalty. I don’t like 30% penalties. That’s out. At full retirement age, I get 100% of my calculated benefit. But each year that I hold off nets me an additional 8% per month for life. Unless I find myself in poor health, the smart money’s on the most money. I plan to delay my benefit until age 70. Currently, doing so would give me over $28,000 a year, but if I were to reach that second bend point with four more years of maximum contributions, I’m looking at a benefit of about $33,400 a year (in 2018 dollars). The max I could receive from an additional 18 years of work beyond that is about $44,900 per year according to the government website. That’s a gain of about $640 per year in Social Security payments for each additional year worked. You’ve heard of golden handcuffs; these are papier-mâché handcuffs. 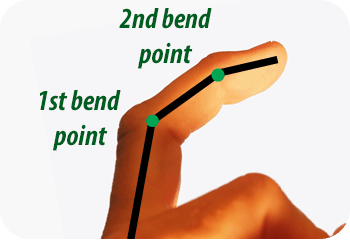 Know your bend points! My wife has done a lot of hard work, but most of it has gone unrecognized by the Social Security Administration. Obviously, the SSA has never had to clean up after me or my kids. But not all hope is lost. As mentioned earlier, if she doesn’t qualify with 40 quarters, or if her benefit would be less than half of mine, she can file for Social Security at full retirement age (67) and receive half of my FRA benefit as long as I’m around and my full benefit if I happen to leave this world before her. Note that she won’t receive half of the benefit I take at age 70, but rather half of the amount I would have gotten if I had started collecting at age 67, my full retirement age. That works out to be about 40% of my age 70 benefit. Also, there is no benefit to postponing to age 70 for a spouse claiming spousal benefits (but there is a penalty for claiming it early). It may still make sense to claim early, though. It’s a no-brainer if the spouse’s benefit based on his or her own record will be lower than the spousal benefit. Collect own benefit from age 62 to 67, then switch to the higher spousal benefit. Note: If you were born after 1953, this may no longer be an option. To work out complicated scenarios, I recommend picking up CPA Mike Piper’s excellent resource, simply called Social Security Made Simple. Between my wife and I, if I surpass the second bend point in 2022 and we start collecting my benefit and a spousal benefit when I am 70, we will potentially receive checks that add up to about $47,000 a year in today’s dollars, which is over half of our anticipated retirement expenses. Granted, we’re nearly three decades away from that eventuality, but it never hurts to think ahead. What’s your plan for Social Security? Have you passed the first bend point? The second? Let us know below! This is another example of the progressive design of our financial system (tax code and government benefits). As you’ve written about previously, the marginal tax rate gets so high at the high-income tax brackets that it may de-incentivize people from working more. Well, not the same, but if I get to the second bend point, it will be close enough. On the other hand, condensing earnings into a shorter period of time, I pay much, much more income tax than the person who earns $100,000 per year for 35 years. Earning $350,000 for 10 years, you could pay close to $1 million in federal and state income tax, depending on the state. Spread that $3.5 million out over 35 years, and you might pay a few hundred thousand, but certainly less than half of the high earner. Wow, this is really interesting! I knew some basics of Social Security, but I really like the comprehensive breakdown here. I look forward to crunching my own numbers, thank you for posting and sharing the calculator! I thought it was a worthwhile exercise. The SSA.gov website gives you an estimate of what your benefit will be if you continue earning at your current rate until FRA (67 for me), but doesn’t do a great job of letting you know where you stand currently. p.s. picked up some Right Brain, North Peak, Shorts, and more to take home when I was up a the tip of the mitt recently. You have very good taste 😉 Any favorites? I’m hooked on Right Brain’s Firestarter Chipotle Porter! I got mostly IPAs, including RB Spinal Tapper and NP Double Diabolical and a handful from Short’s. Also, I’m excited to try Founder’s Doom — a bourbon barrel aged DIPA! You can paste your earnings record from the SS website and tell it how many additional years you’ll work and it will calculate your Primary Insurance Amount as well as how much it’s changed for early or delayed initiation of benefits. I entered my numbers on your spreadsheet from the hard copy SSA document that I got in the mail last fall. When you near the big “5-0” this is one of the “gifts” you get (in addition to many copies of your AARP card!) I’ve reached the first bend point too, but since I’m leaving full-time work this Friday – that’ll be all the bends I get! My husband will be 59 this year, so we’re getting closer to SS being a decision we’ll have to make. We need to do a lot more research in the next couple of years and posts like this are being bookmarked for that purpose. Thanks for sharing and I’m looking forward to the comments here. I’m somewhat surprised you haven’t hit the second bend point, but with an educator’s pension, you guys should be in great shape, regardless. In general, delaying will give you the largest benefit unless you don’t expect to live long after 70. If a spouse is going to take the 50% spousal benefit (not your case), it can become even trickier. Spouse “A” can only claim a 50% benefit if Spouse “B” is already collecting Social Security (they closed the file-and-suspend “loophole” recently). So your spouse can claim (50%) at 66 and you at 70 (132%) only if the spouse is three or more years younger than you. Otherwise, the spouse has to wait until YOU file to get the spousal 50%. That’s my story — we are the same age and my delay until age 70 will limit her to claiming her own SS (lower than 50% of mine), which she will do; then when I start at 70, she will file for the spousal benefit. Thanks for the clarification, Bob. I guess that’s another benefit of robbing the cradle! I just assumed SS wouldn’t be there when I could take advantage of it so never dedicated any time to learning about it. This is good to know at least. Thanks PoF! The good news is that the shortfall is easy to fix. Did you notice the amount you’re taxed on jump from $118,500 to $127,200 in one year? A few more $8,700 jumps and the funding issue is solved. Another problem is the increasing roles of people making the move from welfare to SS disability. There are actually companies contracted to get people converted and are rewarded monetarily by state governments for each person they get off of welfare and into disability. I heard it on NPR a few years ago and was thoroughly disgusted. Of course, some physicians are complicit in this scheme. My AIME is $6965, well past the second bend on the curve, with 35 plus years of earning. Any additional work years as a doc will replace very low earnings years of adolescence but probably will not move the needle all that much toward actual retirement benefit. You’re in great shape, obviously. I’d like to cross over to beyond the second bend point, but I’m not going to alter my life’s plans to do so. Thank you for the post and Excel spreadsheet. Extrapolating the benefit of future contributions prior to possible early retirement shows that for each additional year of work I would only add about $439 to the annual social security payments. Adding $10,975 to my retirement nest egg would generate the same income at a 4% SWR. Working adds to the nest egg and adds to social security benefit so it is not an either-or choice. But, as you pointed out, working just for social security benefit is a poor investment. That’s a great comparison to make. The increase in Social Security is a pittance compared to what a physician can sock away by working one more year. Great article! I really like the calculators. Thanks! Let me take a look. Excel is hard. Oh, turns out I’ve got things correct in the single file used to embed the spreadsheet on the calculator page, but not in the downloadable. That will be fixed momentarily. Yes. Yes, it does. ? Very cool PoF. Will download the tool to see how the numbers for Mr and Mrs PIE compare to the summary projections spat out at us over at ssa.gov. You joke about tumor necrosis factor and interleukins, but many people I know who retire in their fifties and sixties are sadly quite limited by arthritis. I still want to be able to run, climb, bike, ski, etc… and do it all as a retiree long before I collect Social Security. Indeed. Spending the last 20 years working on therapeutics to alleviate diseases such as RA, PsA and OA, I know the challenges and unmet medical need all to well. When I pull the plug, will be able to speak more about what my company and my teams specifically contributed to that endeavor. It is brutally hard yet great strides have taken place, which is the rewarding part of our teamwork with research scientists, clinicians and most importantly the patients. Nice post. I had not given this much thought but recently my mother was debating whether to take SS early (she is 62). She deferred for now. The more I read the more I lean towards her taking funds early. My dad has earned more in his life and is 12 years older then her. Chances are he will pass before she does and in that case she will get his full SS payments. So now I am leaning towards her taking the SS payments at age 63. Thoughts? That’s a tricky one. Full retirement age for her would be 66 (or 66 & 2 months) and he’ll be 78 then. If he is in relatively poor health, it would make sense for her to take benefits sooner than later. If he’s healthy for his age, this might be a job for a spreadsheet. Good luck! Interesting. I conceptually got the cutoffs and that bend points existed but I’ve never seen the actual points as written. While unlike some I do believe social security will exist when I retire. I expect benefits will change before I retire, potentially changing the bend points. Same here. Having researched it for the article, I have a much better understanding now, as well. It’s a shame that something intended to help the poor and be a safety net is so dang complicated! Thanks for your spreadsheet. It definitely adds another layer of thought to our RE date. For most of us, Social Security is the closest thing to a pension we’ll see. Might as well try to get the most of it if you find yourself shy of the 2nd bend point. After that, the additional benefit from increasing AIME is less than half what it was prior to the 2nd bend. Good stuff PoF! I just wanted to point out that this isn’t completely accurate: “If you failed to earn income for 10 years (40 three-month quarters of at least an inflation-adjusted $1,300 income), you’re not eligible.” You do need to earn 40 credits, but it doesn’t have to take a full 10 years to do so. The smallest amount of time you can earn your credits is 8 years and 2 months – you are limited to 4 credits a year, but you can earn all 4 credits in a single month. Source: me. I qualified for SS in 8 years and 4 months (I haven’t even been in this country for a decade yet!). You’re right — the US government has some wacky definitions. A three-month quarter is the equivalent of earning about $1,300. If you earn $5,200 in a day, you’ve got a year’s worth of SS earnings knocked out. Technically, you could qualify with only 10 days of earnings, as long as they are lucrative days in 10 different calendar years. That’s a good place to be, FCB. Like you, assuming some benefit exists (and I believe it will), I’m gonna party like it’s 2045! Nice post on a topic that isn’t covered much for early retirees. What is nice is that so much of the benefit occurs early in your working career, especially if you have a high-income. So even if you retire early, you’ll still get a good portion of your SS benefits (in whatever form they exist at the time). I have enough “golden handcuffs” angst with my job. I’m glad SS is so progressive that there is little benefit to working much beyond 10-15 years. I simply forget it in my plans (like many seem to do) and consider it free financial longevity insurance in my old age in case I need it. I don’t necessarily forget it, but I don’t think about it much. I don’t anticipate taking a penny from it in the first 25 years of FIRE, so it feels pretty abstract. I know it’s theoretically possible and even probable, like the Vikings winning a Super Bowl someday, but I’ll believe it when I see it. Thanks for breaking this down. I’ve never focused a whole lot on SS, which you point out is a fairly typical thing for people like us (FI/FIRE). But I agree that we’ll have something in some form, whether it’s SS or UBI (universal basic income). A lot of younger folks think that SS will be history in 40 years’ time. But again, I think we’ll have something. It would be ridiculous not to. Given that most people won’t have much saved up for retirement (personally saved up). I’ve also never thought about “bend points.” I knew there were diminishing returns at some point, but never did the research. Again because I don’t really think much about SS. I was somewhat familiar with the Bend Point concept, but had never done the math for myself. I had been putting off writing this one, because I knew it needed a calculator, and that would require a big effort, but it was well worth the time. I love this calculator and the explanation. We’re still over 30 years from standard retirement age, so we’re assuming it won’t be there. Realistically, I think something will be there, but I would rather save too much earlier when I have more compounding time working for us. We have plenty of time to reevaluate how much social security will be available as we get older. Worst case, we are fine. Best case, we can retire earlier or with more wealth. Most of us look at it as icing on the cake. The fact is, for an early retiree, the amount of money you’ll have in your sixties and seventies depends much more on total return and sequence of returns, but it’s comforting to know that some significant money should be there some day. Nice write up PoF. I looked into this a couple of years ago and realized I was pretty close to the second bend point. For the vast majority of docs, they will be well past the second bend point by the end of their career. It’s important to get enough credits, and working up to at least the first bend point is high return on investment. The last time I looked, I was pretty close to the second bend point, but not quite there yet. With my current income, I don’t think there would be much progress from 2 years ago. Nice spreadsheet, though. I will input my numbers today. Yeap, I look at it as icing on the cake too. Unless I die early, then the benefit will be very helpful for my family. How do you know how close you are to the second bend point? This post didn’t quite bend me out of shape, POF, so thanks for doing this. ? With significant part of my earnings history outside US, I knew I wouldn’t reach the second bend point. My SS earnings record has pegged me at $15K benefit per year when I turn 67, but I have considered only $10K/yr SS in my financial plan considering we may receive only 75% of benefit amount if Congress does nothing. Still, this is a decent sum and reduces my portfolio WR so am happy to get it, but I am not quite looking forward to turning 67 though yet ? I think as you get older the numbers ss sends you are more accurate. I will put my numbers in on my 4 day weekend. I am pretty sure I am beyond the second bend. I also have finally eliminated all the zero years when I did not have job in med school. Have you considered the advantage of claiming at 62 (with the 30% reduction of benefits) but investing the funds rather than consuming them? Actuarially speaking, the benefit value should be equivalent (over your lifespan) but you protect yourself against an accidental/premature death risk. That is, if you are in great health and expect to live to 100 and delay benefits until age 70…but, you get hit by a car at age 69, you (and you heirs) missed out on 7 years of SS benefits that is not replaced. Seems like an unnecessary risk of leaving as much as $105,000 on the table. Am I wrong? It’s designed to be more or less a tossup. Taking it early is a bet against yourself (as is insurance). Based on genetics and reasonably healthy living, I’m guessing I’ll outlive the actuarial table and if I’m right, postponing will win. According to this article from Time, 80.5 is the break-even point. Thanks for the reply…and sure, 80.5 is the break-even if you exclude the ability to invest the benefits rather than consuming them. Investing the benefits pushes the break-even point out much further but, of course, is contingent upon returns. I will ABSOLUTELY, no questions asked, take my benefits early for the simple reason that I don’t need them. Since my lower benefits earned for a longer period will be invested for more years than your higher benefits earned for a shorter period, we will probably come out at the EXACT SAME PLACE…(we both win!!!). But in the off chance that I die earlier than expected, I won’t miss out on collecting any benefits (a small, but real risk…but not a “bet against yourself”). Sorry to quibble, but I just wanted to add an additional thought to the mix. Your assumption though is that you can invest at 8%. No one can predict what market returns will be over that 8 year time span, whereas delaying is giving you a guaranteed 8% return. While I understand your logic and you do accumulate 8 more years of benefit, you are risking a long term benefit reduction if you live a long life. The problem I see is with the bend points changing with inflation. This probably would not affect someone close to receiving SS benefits, but certainly it would affect the retire early crowd. As an example, I will hit the FRA in 29 years. At that time (using the CPI Inflation calculator in reverse), the first bend point would be 1872 and the second bend point would be 3785. This translates out into total SS contributions of 786,240 to hit the first bend point and 4,740,540 to hit the second bend point. Unless the yearly SS contributions change significantly, it seems unlikely to hit the second bend point. Or is my math and assumptions incorrect? I’m not sure I follow the math, Seth, but I’m guessing you went south somewhere. The bend points will continue to grow, but so will the value of your past contributions as the index factor for prior years increases. They should grow at the same rate. Here’s a list of the bend points by year going back to 1979. I’ve run calculators and run calculators on this. Unless you are rather sure you are going to earn 0% on your investments for a time frame of over a decade, you are financially best off to take the money at 62. You do not get nominally more money until age 82 if you wait until 70, and that assumes the money earned 0%. If it earns even 3-4%, that stretches your age up to late 80s, even 90s before you have more money from social security. There are other advantages to postponing till 70. I’m Roth converting while living on cash. Since I live on cash my tax bill is zero so I can convert to the upper limit of the present 15% bracket which is 75,900 per year AGI. Since the standard deduction is 12000 that’s 87,900 I can Roth convert at a 15% rate. If I was taking SS it would dramatically reduce my conversion at the 15% level. Also I have a younger wife who is a SAHM and running my SS up to age 70 improves her take to 21K instead of 15K when I kick the bucket. Trump’s tax proposal improves this by allowing me to Roth convert about 114K per year at a 12% tax rate if they ever pass the damn thing. This is a boon to those of us that maxed out pre-retirement accounts over 20+ years by allowing us to unload at a low rate. 2. by cleaning a lot out of my tIRA, my RMD plus SS at 70 will be below 114K per year, (hopefully just below). My Roth will remain untouched and aggressively invested in an efficient frontier portfolio which has a better risk adjusted return compared to a Bogel portfolio . I will supplement my needs (new car, trip to Asia or something) by selling post tax stock mixed with LT cap loss. A higher SS+RMD yet under 15% (or 12%) means I have to take less out of the post tax account which improves its longevity. The Roth remains a transfer of wealth vehicle unless it hits the fan. 3. My SS is inflation protected. When my wife files at FRA we will both have a maxed out inflation protected annuity happening. 4 My wife will make a little more when I become absent. So there are other pretty dramatic advantages to taking at 70 not considered by calculators. I was messing with Big ERN’s retirement google sheet. Adding just my SS at age 70 (not including my wife) increased my 100% safe withdrawal rate 0.9% from 3% to 3.9% THAT’S A LOT OF DOUGH. Personally I don’t believe in the 4% 25x rule, but I do believe in Big ERN’s method of calculation. I think SS will definitely “be there” even with the 25% haircut. (If you get to 132% and take a 25% haircut you will be at 99% of your FRA! and your survivor will also benefit. You can adjust this haircut into Big ERN’s sheet as well and get a good idea of how it will affect your SWR. I’m older than you whipper snappers, In 4 months I will reach the 3rd knuckle, FRA but my rate of Return will be 8% per year so I’ll have to go back to the Capitate Metacarpal joint to get the full picture. Your wife’s benefit is 50% of your bene at your FRA (if she takes it at her FRA). Her payout will not increase even if you wait until you are 70 yo. I only know this because I bought Maximize My Social Security (Laurence Kotlikoff’s product) and reviewed it with that service. My wife is 11 years younger. Good discussion PoF. Calculating the “crossover” point to decide whether to claim benefits at 62 or 70 (or whenever) is not necessarily a simple spreadsheet. If you are close to claiming and have a spouse who also qualifies based on their earnings, it can get a bit complex regarding what is the best way to claim benefits to maximize the return. The “how will we get the most $$” calculation may not be very accurate if you don’t include tax effects and the effect of RMD income from your IRAs once you turn 70. SS income is taxed at different rates depending upon your total income. For our situation, it turns out we get more after tax income by drawing down the IRAs to live on for a few years and waiting until 70 to claim SS benefits. Depending upon your drawdown needs and the amount in your IRAs, it could result in much lower RMDs at 70 and then the SS income does not kick you into a higher tax bracket. Investigating what you end up with after taxes is what matters to help decide when it is best to start SS benefits. That makes sense to me. It’s absolutely an individual decision, and you should also factor in you and your partner’s health. If you’re both healthier than the average person your age, you’ve got a good chance of outliving the actuarial tables, and delaying makes more sense. If you’ve got a heart full of stents, type II diabetes, and oxygen dependent COPD, you should start collecting yesterday! I am 62 and have been retired for 4 years. I work a little bit on the side. I am past the 2nd bend and waiting to draw SS. I could make a ton of money between now and then but it will barely increase my monthly payment. The biggest impact on my payment is to just delay as long as I can. I agree completely. The ROI on your Social Security tax past the second bend point is terrible, but there’s not much you can do about it. If you’re in good health in your sixties, delaying to 70 makes a lot of sense. One of the key elements in any discussion regarding when to claim Social Security benefits seems to be the breakeven point: The age at which you receive more cumulative benefits by delaying your claim. The problem with using the breakeven point to make your decision on when to claim benefits is that it is unknown until you file a claim for Social Security. Two factors that make calculating your breakeven point difficult are continued employment which changes your PIA and COLA that you are deemed to have earned from age 62. For example, I continued working until age 68. This removed 6 of my lowest earning years from my PIA calculation. I received raises between ages 62 and 68 increasing my PIA from what Social Security had projected. COLA for the 6 years that I had delayed my claim was applied to the PIA. My monthly Social Security benefit came to within $150 of the PIA that Social Security projected I would receive at 70. After discovering that COLA was the reason that my monthly benefit was more than I had expected, I decided out of curiosity to calculate my breakeven point based on the PIA I could have received at 62. It came out to be between the ages of 76 and 77 based on actual COLA and wasn’t affected by what I used for future COLA. My conclusion is that your breakeven point isn’t a very good metric for deciding when to claim Social Security benefits unless you quite working at age 62 or earlier. You’re better off making the decision based on whether or not the benefit covers your basic living expenses. Thank you for your thoughts, Panda. Just wanted to thank you for the calculator. I was about to make one and figured I would do a search. Behold my long time online acquaintance created one for me. Only you could make a social security calculation of 12 x 35 funny and interesting! Great article! I did not realize the way bend points work. Very insightful eapecially if you are a small business owner and you hit the 2nd bend. You should strategize on how you pay yourself (payroll vs draw). I dont understand why so many people are against taking SS at 62. It would take me 10 years from the age of 67 to actually hit the break even point where the sum(earnings from 67-77) becomes > than the sum (earnings 62-77). It wouldnt be until i am 77 that it becomes worth it and by then theres no guarantee Im even alive. Im a big fan of FIRE because I value my personal time and want to do more when Im younger. What is the extra $ is going to get me when im > 77 ? Many people cant do the same things when they were younger and have to cut down lots of activities due to medical limitations. Just my 2 cents :-). BTW – I noticed cell C130 may be hard coded to your amount and not a sum of the indexed values. You may want to correct that. Hope this helps. Thanks for the tip on the hard coding. I’m away from home and using Excel Online to make edits — unfortunately, it’s not as robust as the full program and a number of formulas were left out and only the values transferred over. I’ve corrected the sheet now, and the new sheets are available via the download buttons in the article. The debate about when to take SS is an ongoing one. The break-even point for waiting is somewhere in the early to late eighties, depending on the assumptions of returns on the money. Of course, if you need the money to fund your lifestyle at 62, there’s no debate. WCI and Dr. Cory S. Fawcett did a pro/con on this subject. Interesting link! I can definitely see this debate has so many different financial angles coupled with life events one can not predict. Glad I was able to help on the excel. I also don’t understand the debate. If you know exactly when you’re going to die, the decision is easy. Otherwise, you place your bets and you take your chances, eh? Still, as POF said – if you need the money at 62 then you gotta take it (and maybe change your lifestyle a bit); else it’s probably safer to hold off from a risk mitigation standpoint, not necessarily from a wealth building standpoint. The last time I checked, I was pretty close to the second bend point. More work at this point isn’t going to increase my benefit much. My father in law uses his social security benefit as a donation fund. I think that’s a great idea and will aim for the same. Hopefully, we won’t need it. There is some value to getting to that second bend point, and as long as you’re making some income from the blog, you’re inching ever closer. After you hit that mark, the additional benefit of further contributions is less than half what it was before. Thank you so much for the calculator and the clear explanation! So very helpful and very much appreciated. I read about bend points for the first time right before we ERd at 53 a few years ago and noted that DH and I were both past the 2nd bend point, but this is the first really clear calculator I have seen that will be so helpful to so many. It really helps to illustrate that working way past the 2nd bend point should not be for SS purposes. To sock more $ away, maybe, but not for SS! Thank you so much! Thank you for sharing, and congrats on being past that second bend point! I’m a few years shy, but if I keep this website going into 2022, we should get there. I’m pretty sure my wife will be collecting half of my benefit unless something changes that we don’t anticipate. Perfect timing, earlier this month I maxed out my SS tax for 2018 ($7960.80). In your calculator I typed in $128,400 for 2018 and apparently I just hit the second bend point this month! AIME of $5398 vs $5397. Kind of discouraging to know that I will not receive 85% of my future SS withholdings. Thanks POF for the clear explanation and calculator. As I wind down my part-time position to fully FIRE I always wondered how to estimate SS and frankly, like most, just ignored it in my calculations for retirement planning. I was happy to see that I was past the second bend point and agree with you SS should be around in some form for me by age 70. Also your calculator finally spurred me to register on the SSA gov site (long overdue). Cool. Interesting what it takes to get us to overcome the inertia of standing still. Congrats on reaching the second bend point — and my condolences for the fact that your contributions now mean very little. Thanks for the great calculator. As I use it, I wonder what are the meaning of the “Index Factor” and “Index Wages”. Do they apply at all to the discussion here or are they used for another topic? Thanks again for all your hard work on this! I was asked a question about what income level would be a good one to report-if that is in your control- so that you get the 90% and 32% bend points but not the measly 15% bend point factor. I THINK the correct answer is $48,642-the Average Wage Index-that is reportd at SS. Client is 51 and is currently reporting less than that but could probably adjust that higher. When populating the 35 years my assumption is that each year “bends” at the current year’s AWI. Any thoughts on that? My initial thought is that the current tax implications of how much money to take as salary versus distribution (I’m assuming this is an S-corp setup) are much more impactful than the eventual SS implications of that decision. With the TCJA and the 20% QBI deduction per Section 199A, the decision becomes more complicated, but S-Corps have become much less advantageous. I will have to dig deeper into this – thank you for the link. I loaned Mike Piper’s book on the topic to my father, but will ask for it back tonight! In the meantime, I’ll edit the text as it appears what I described may not be an option for my generation.